A Graphic Novel Review 17/365: The Tea Dragon Society – Oni Press Week! Welcome to day four of Oni Press Week! This week I’ll be featuring reviews of a bunch of cool titles from the good folks over at Oni Press. Today, we discuss The Tea Dragon Society! 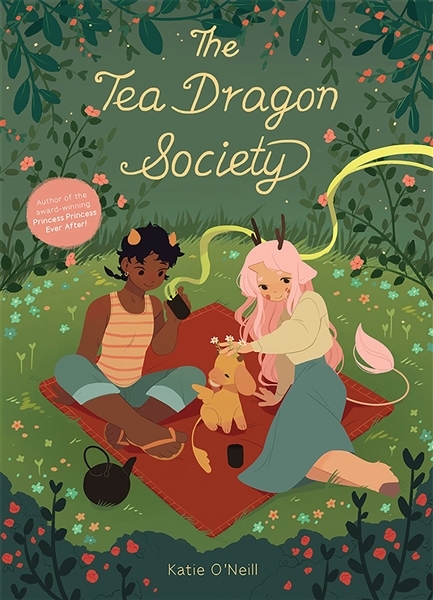 The Tea Dragon Society penned by acclaimed author and artist Katie O’Neill does not officially hit book shelves until October 31st of this year, but I was able to read an advance copy that I received at ALA last month, and I must say, it’s been the most feel-good read of the seventeen books that I’ve reviewed thus far. Dude, come on…right? These little guys are outstanding! And there are a bunch of them. Like Pokemon, if they were cute Tea Dragons with leaves on their horns. 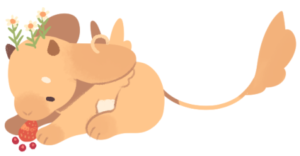 I don’t mean for the cuteness of the creatures to overshadow the story; it is powerful, and it has a lot to teach people about relationships and friendship. It’s just exciting to think about the multiple avenues of success that this book can have. Katie O’Neill recently did an interview with Comicosity about the book, and it can be found here. Check it out for more on this great title! Order this one for the kiddies and yourself.